Yes, that's what I call it..it does have another name though - with a lot of letters. I don't even want to look it up to type it here. This pattern was a flop (for me) from the word "go". 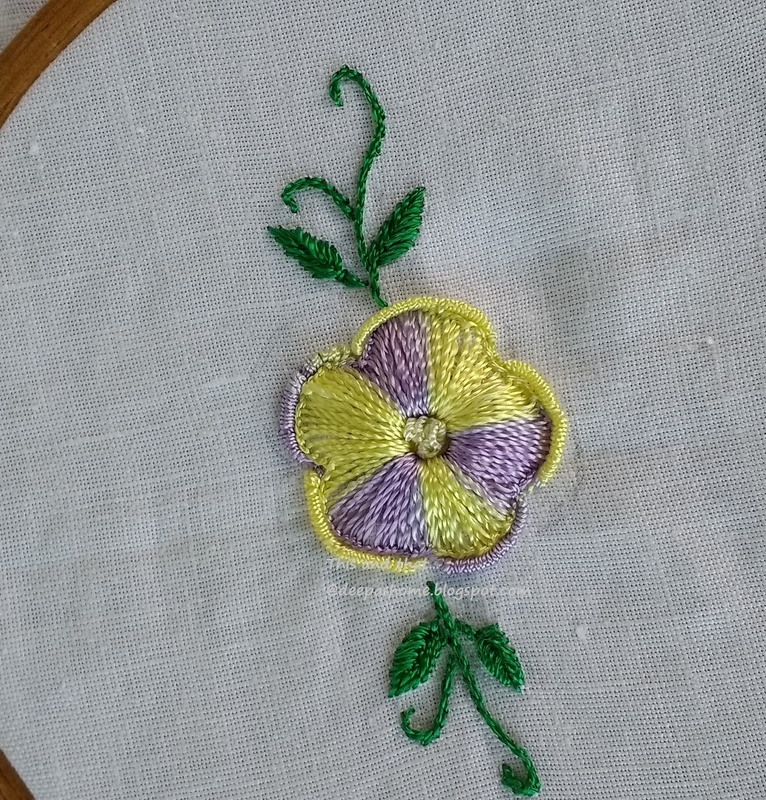 I went wrong with the sketch , the color choice , the stitch - then had to redraw, change the thread color and change the stitch .At that point it looked decent enough, but had eaten up a lot of my time. 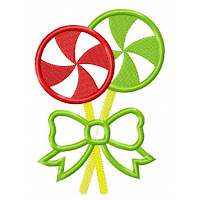 I didn't click the earlier pic, but the flower looked something like this.. a humongous pinwheel lollipop!! Come to think of it, it still does look the same , doesn't it? Then the drama with bullion stitches started. Es war einfach schrecklich. It was simply terrible!! I went wrong multiple times with the number of wraps that would cover the edge of the petals - all because the petals were not the exact same size. Some needed 25 wraps, some needed 30. On top of it the bullions wouldn't lie flat - so had to tack them down and that clearly shows. There are also gaps between bullions, which shouldn't be the case. I was desperate to finish by this time. Yes.... it was a miserable day, which ended at 11 PM . Yuck!! This is an embarrassment!! I am going to redo the bullions!! But not today. I need a few days to recover from this debacle. Meanwhile , the weather continues to be pleasant and a lot of wildflowers have popped up all over the place. Happiness is in the air!!! Here's hoping that the sunshine will brighten up your days too..
and oh yes..I will come back with a better embroidery next time.. It looks pretty good to me Deepa...I know I'd be pretty happy if I could do as well. We are our own worst critics and I'm sure no one would notice the things you don't like unless you pointed them out. 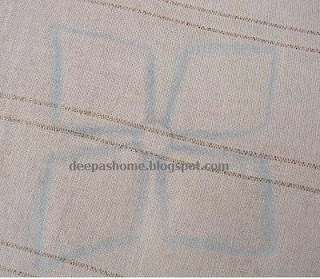 Well, first of all (since you snipped out the bullions), just edge the flower petals with separate cast-on stitches. Another choice is to make a detached buttonhole stitch in each of those outer loops (or every other one). You are the only person who knows what the instructions said. You can do what you want to make it pretty. It's OK to cut the floss whenever you want to get the desired effect. By the way, your bullions didn't look all that bad. I tack mine when I need to, but you can make them (and a cast-on) curve the way you want by having the "A-B" points on the outside and the "C-D" points just inside. If you seriously wanted a pinwheel, you could have made stitches across instead of from the center out. But it still looks good. Hmmm. 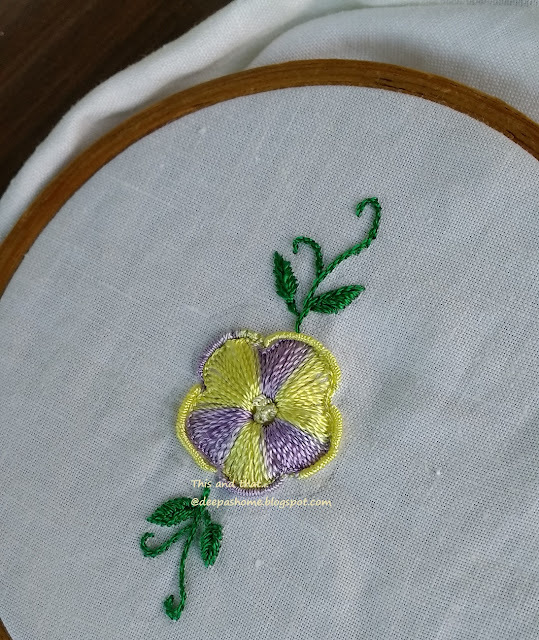 After you edge the petals with cast-on stitches (tack if you need to), you could cover the pencil lines with blanket stitch in green (kind of like a bed or calyx) for the flower). Anyway, it looks nice. Are you on the Facebook Brazilian Embroidery groups? You, like so many of us, are very critical of your work. But to me it looks perfect with the bullion stitch and without. It is really nice. The lilac and yellow looks vibrant together.